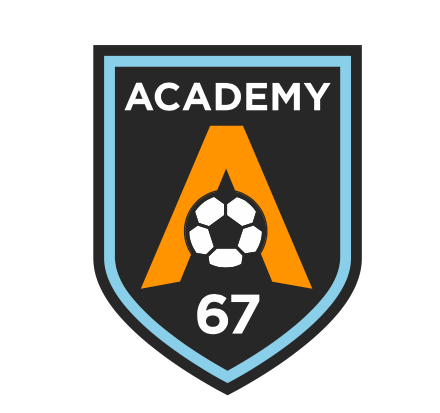 Academy 67 is a new academy that will provide individual skills training programs to all players in Calgary. Academy 67 will provide a fun and professional learning environment to give individuals the opportunity to maximize their potential. Academy 67 will be run separately from Blizzard Soccer Club; however, it will be led by the Blizzard Technical and support staff. All sessions are held at the Calgary West Soccer Centre on Field #4. U14-U17 Group Training – Fridays 8:00-9:00 p.m.
U11-U13 Group Training – Wednesdays 5:30-6:30 p.m.
U9-U10 Core Training – Saturdays 4:30-5:30 p.m.
U7-U8 Roots Academy – Sundays 8:30-9:30 a.m. Shooting Gallery U11-U17 – Sundays 3:30-4:30 p.m.
Academy 67 has a strict refund policy. Once you register with our Academy, you may withdraw your application for a full refund up to 7 days prior to the Academy program starting (unless it is for a season ending injury as noted by a doctor).